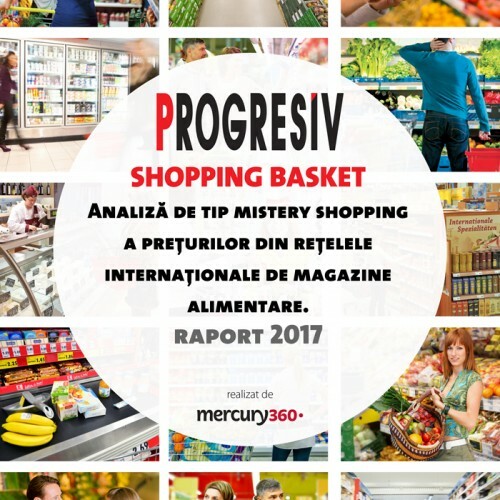 The Progresiv Shopping Basket is a mistery shopping analysis of prices in international networks of grocery stores in Romania. This study offers details about price dynamics in 2016 in IKA, the main products in the basket of the Romanians, but also on-shelf availability and promotional policy of the 26 SKUs selected for the analysis. It also contains the qualitative analysis: Minutes spent in the store; Minutes spent at the cash registers; Number of shopping carts found at the cash registers; Number of opened vs. existing cash registers; Customer complaints situations; Merchandising inappropriate situations; Cleaning inappropriate situations. Selected SKUs are the market leader in modern trade on the listed categories, according to available research data. The prices are the ones on the shop receipts, being the actual prices in the shop. Shopping locations were changed quarterly as follows: in trim. I have been chosen locations in the south (excl. Bucharest) in trim. II were visited shops in the center and west of the country, in trim. III was covered north-east, and trim. IV only Romanian capital. 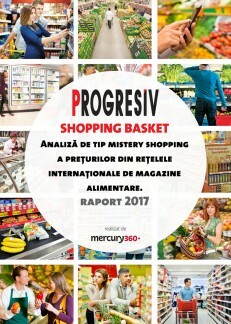 Shopping Basket survey is conducted by the agency for integrated marketing and communication Mercury360. The analysis is available in Romanian language only.